The Mali Mul beach is located near the center of Trogir, easily accessible on foot and by car, and the city center is only 500 m away. 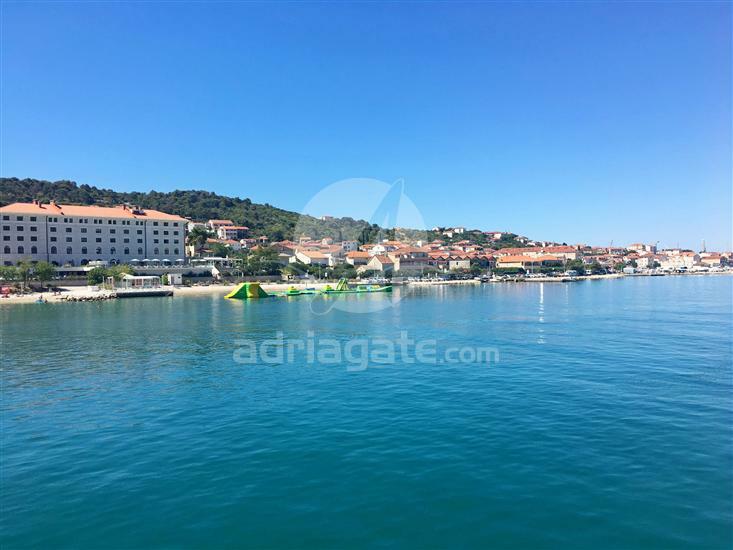 This beautiful pebble beach is a great choice for those who visit Trogir and want to take a swim nearby or if they do not want to go by car to the beach. On this pebble beach, children will enjoy the water park while their parents rest on the beach and enjoy the sun. The concrete parts of the beach are ideal for sunbathing, while the clear sea invites you to take a swim. The mullet, from which the beach got its name, is a perfect opportunity to practice jumping in the water. The beautiful view of the beach Mali Mul on the old town center of Trogir creates a pleasant ambiance and a romantic atmosphere. Let your youngest have fun in the shallows as you watch them out of the shade of a nearby beach bar, with a refreshing drink in your hand. Let yourself be pampered with your loved ones on this beautiful pebble beach.